Vinyl Sheet Flooring is an attractive floor choice for those looking for an affordable option, while still providing the stylish appeal of other floors. Vinyl / Linoleum provides the real look of stone or wood, but at an affordable rate. Vinyl flooring comes in a large sheet and is perfect for covering large areas for a seamless installation. Benefit of having vinyl floors are low maintenance, ease of cleaning, moisture-resistant, and its economical price. Vinyl flooring also comes in a wide variety of options – stone or wood, classic or contemporary, and even a luxury tile style. 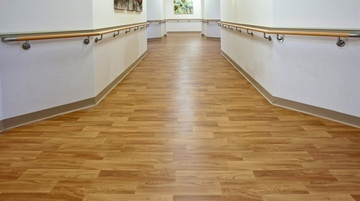 Because of the large diversity in options to choose from, vinyl flooring can accommodate any type of room. We offer Vinyl Flooring Services across Palo Alto, Los Altos, Mountain View, Cupertino, Saratoga, Los Gatos, San Jose, Oakland, Menlo Park, Redwood City, San Mateo, San Bruno, Burlingame, San Francisco, Los Altos Hills and the surrounding areas. Contact a Baila Floors representative today to determine if the vinyl flooring is a good fit for you.